"Glasgow have been a big disappointment this season in the competition with the Scottish side losing all five matches. Exeter travel north of the border with motivation on their side and the visitors should be up to the task of securing the win they need." With Leinster wrapping up their pool after winning every match, Exeter are focused on claiming a victory at Glasgow to finish as one of the best runners-up. The Premiership champions cannot afford to slip up, with Montpellier just below them in the standing. The Chiefs were in superb form last weekend as they trounced Montpellier 41-10 to keep their Champions Cup hopes alive. Glasgow have been a big disappointment this season in the competition, with the Scottish side losing all five matches. Exeter travel north of the border with motivation on their side and the visitors should be up to the task of securing the win they need. The Chiefs won 24-15 at home to the Warriors back in October and it could be worth backing them to claim another win by up to 12 points in their final pool game. Defending champions Saracens must win their final game at home to Northampton to have any chance of qualifying but the team will be eliminated if the Ospreys win in Clermont. The Men in Black have lost twice in five matches and could only draw 15-15 in Wales last weekend to leave their hopes of progression in the balance. Mark McCall's side have rallied well after a seven-match losing run, at the end of last year, but could still count the cost of back-to-back defeats against Clermont. Northampton have been out of contention in Europe for some time but the Saints have ended their miserable run with two much-needed wins. A last-minute win over Gloucester in the Premiership was followed by an extremely impressive 34-21 home victory over Clermont last weekend. Saracens need a bonus-point win, and may well get it, but there is no doubt they are facing a totally different Northampton team to the one which has struggled in recent months. The Saints are handed a hefty 26-point head start and this handicap looks worth taking. Bath's hopes of reaching the knockout stages of the Champions Cup suffered a major setback after their 35-17 home defeat to the Scarlets last weekend. It has left the Premiership club down in third place beneath Toulon and the Welsh side. It means Bath must produce a dominant bonus-point win over Treviso and hope results go their way to qualify as one of the best runners-up. Todd Blackadder's side no longer have their fate in their own hands and can only hope a big win in Italy is enough to send them through. Benetton have lost all five matches in the pool stage and were beaten 23-0 in Bath earlier this season. The visitors should have the attacking quality to overcome their opponents with something to spare. But Treviso have been handed a 22-point handicap, which they have beaten in both home matches, so the underdogs could be worth support in this market. It has been a disappointing season so far for Leicester and the Premiership side have not been a factor in Europe this year after propping up their pool with four defeats in five matches. The Tigers rested their England internationals last weekend and unsurprisingly were well beaten 39-0 in Castres. But Racing have plenty on the line in this final match with the French club second in the group on 15 points. An away win for Racing should be enough to qualify as one of the three best runners-up and this motivation should tip the balance in their favour. Leicester have lost seven of their last eight matches in all competitions and have only pride to play for at Welford Road. 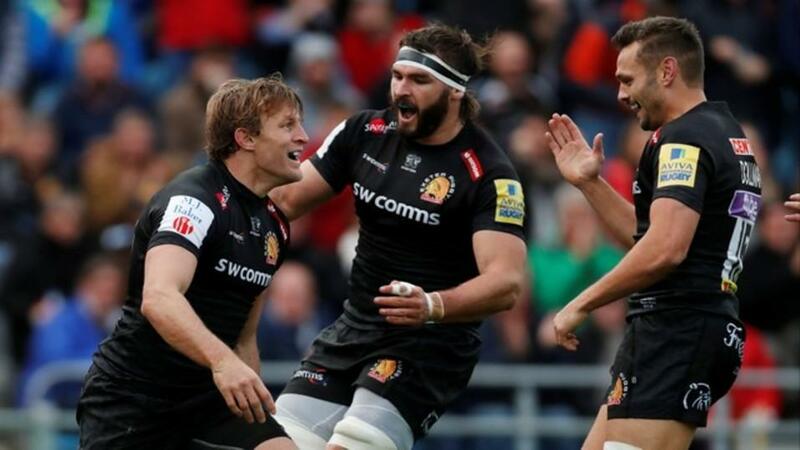 Racing only edged out Leicester 22-18 in their home clash, one of two victories in the competition by four points, so a slender away win could be the best bet. Wasps blew their chances of reaching the knockout stages of the tournament after throwing away a 21-0 lead to lose 33-28 at Harlequins last weekend. It was a devastating defeat for Dai Young's side which has left them third in the table on 12 points and surely with too much to do to qualify. Ulster, who defeated La Rochelle 20-13 last week, top the pool by a point and are very much within sight of reaching the quarter-finals. This was a huge missed opportunity for injury-hit Wasps and there was an air of resignation after their defeat which suggests they have given up on qualifying. Ulster are in the driving seat, having beaten Wasps 19-9 at home, knowing another victory will guarantee their spot in the next round. The visitors will not want to let this one slip and are worth backing with a three-point handicap advantage at the Ricoh Arena. La Rochelle go into their final match in second position but a victory should be enough to take them through to the next stage. The Top 14 side made a superb start to the competition, winning their first three games, but have since been beaten at Wasps and Ulster. Nevertheless, the French club should still be able to advance to the last-eight in their first season competing in the Champions Cup. Harlequins lost their first four matches to suffer early elimination from the tournament but the Premiership side showed their competitiveness by launching a stirring fightback to defeat Wasps. La Rochelle won 34-27 at the Stoop back in October and should finish off the job with another victory over Quins. But the visitors are handed a very generous handicap advantage of 30 points and look more than capable of staying within this figure in France.